This Whisky is okay concerning its price-Performance-ratio! 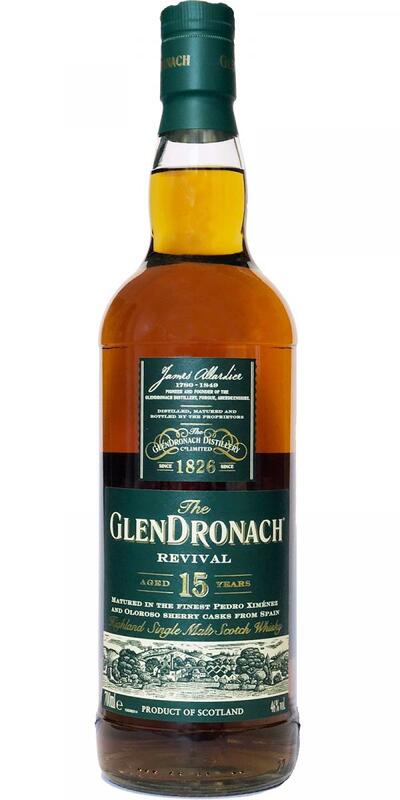 (Well, at least if you can get one for roundabout 55 Euro) Seeing so many people chasing this newest expression the Glendronach marketing did a good Job naming this one Revival! 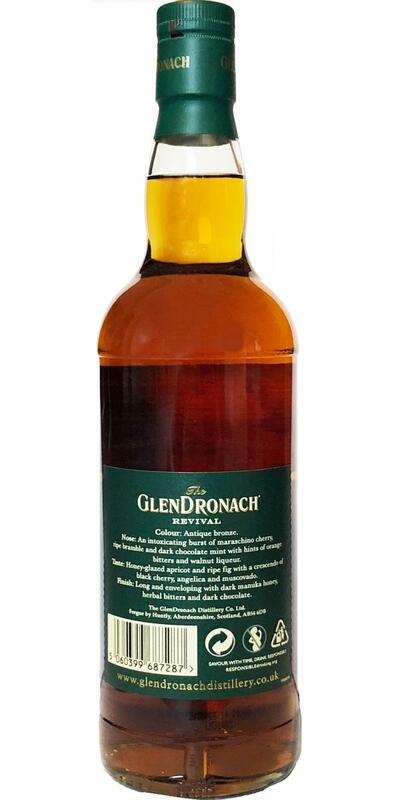 For me as a fan of the former Billy Walker Glendronach Style this is a slap in the face! This stuff is just so much worse than the old Revival and the new Style is kinda generic in my book as well! olfactory roundness, creamy sweetness and vanilla, rather marked spices, woody return quite important. fine sherry, less flagrant, woody more present and dry, rather peppery spices, creamy and greedy. same perceptions in the mouth with wood and a very fine sherry, more on stewed fruit, but not on mold. I'm not a GD expert, but I already strongly remember that I liked the old 15er much better, for me even with the strongest under 20er OA was. This one lacks some grounding, but also depth. The 2018 Revival is still a truly fantastic sherried whisky. Pedro Ximénez & Oloroso sherry casks. The first Revival was only on Oloroso casks. Old Revival was better. The sweeter PX is hiding behind the too dry wood. Sherry, dried fruits, caramel, orange peel, raisin and chamomile. Sherry, dry oak, pepper, cocoa and tobacco.